Congrats to Luna Metrics and Ron Shevlin's Marketing ROI for making upward progress in this month's Friends of MineThatData rankings. To be included in the Friends of MineThatData rankings, send me your blog, and I'll take a peek at it over the course of a few weeks. I typically include blogs that focus on Customers, Database Marketing, Marketing Analytics, Web Analytics and Direct Marketing. Once included, I run the "BlogJuice" score for each blog --- a formula that balances RSS subscribers (via Bloglines), actual visitors (via Alexa), and links (via Technorati). The Top Ten for March. Digital Solid and the Customer Experience Matrix continue to bubble just under the top ten. Recall that there are two key elements in Multichannel Forensics. First, how well do you retain your customers? If you retain more than sixty percent of last year's customers (in other words, more than sixty percent of last year's customers purchase again this year), you are in Retention Mode. If you retain between forty and sixty percent of last year's customers, you are in Hybrid Mode. If you retain less than forty percent of last year's customers, you are in Acquisition Mode. Second, what do you customers do after they purchase from you? Do they only purchase your products, brands or channels (called Isolation Mode)? Do they like to try out other products, brands or channels (called Equilibrium Mode)? Do they switch to other products, brands or channels (called Transfer Mode)? Do they switch back and forth between products, brands or channels (called Oscillation Mode)? The combination of modes determines the business strategy for a product, brand or channel. Let's evaluate Circuit City, as an example. It is well documented that customers shop Circuit City via the online channel, then either purchase merchandise in-store, or purchase online and pick up product in the store. The retail channel frequently operates in Retention/Isolation Mode. In other words, last year's store customers purchase in-store again this year, and are not likely to shop other channels. The online channel frequently operates in Acquisition/Transfer Mode. In other words, last year's online customers are unlikely to purchase online this year --- instead, the customer shifts purchasing to the store channel. When business units operate under vastly different modes, leaders are needed to complement the mode of the business unit. The leader of the online channel should be collaborative, one who does what is best for the total business. Her bonus structure should be based on her ability to facilitate customer purchases within any channel, not just her channel. The strategic development of her channel should be crafted around the natural behavior of her customer --- to shop in stores in the future. The leader of the retail channel can be a different individual. Teamwork skills and collaboration may not be as important, because this individual has customers who are not likely to switch to the online channel --- and if the customer does switch, it is only to get information about retail merchandise. Multichannel retailing is all about exploiting the strengths of each channel. It is not about "sameness", not about replicating the customer experience the same way in every channel. This holds true for the leaders of each product, brand or channel. In the Circuit City example, it may make sense to have a very experienced leader manage the online channel. This leader should be well versed at collaboration, consensus, humility, leading through others. This leader should be comfortable with not getting credit for all the good she does to make other leaders look good. Conversely, it may make sense to have newer executives work in products, brands or channels that are in "isolation mode". In these instances, the leader has control over things, and has fewer moving parts to worry about. All too often, we assign new leaders to smaller business units, business units with the least "risk". In reality, we should think about putting our most talented leaders in the most challenging roles. Those roles tend to happen in "equilibrium" or "transfer" mode. Following up on a point from yesterday, I want to re-phrase a question that resulted in a lot of chatter today. Assume you are an E-Commerce executive at a multichannel retailer. Your channel (online) is forecast to grow by 25% in 2007. Let's assume that your Board of Directors is not happy with projected E-Commerce growth rates, and demands you grow the online channel by 50% in 2007. Your Board will not give you any money to spend on catalog marketing, television, radio, magazines, etc. Your Board will not allow you to source new merchandise. You are required to use marketing within only the online channel to grow your online business an additional twenty-five percentage points. 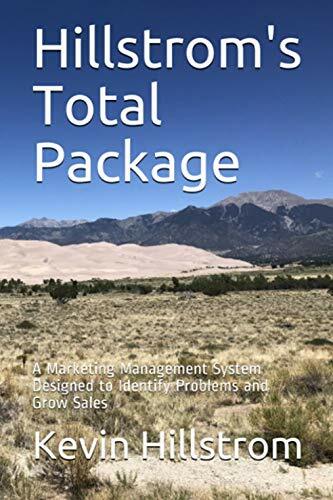 In the heyday of catalog marketing, you would increase pages circulated by roughly fifty percent, in order to grow your sales by twenty-five percent. You would prospect to inactive and new customers, add contacts/mail-dates to your best customers, and possibly add pages to your best catalogs. Given the money, you could achieve this unreasonable request --- albeit unprofitably. This was the magic of the old direct-to-consumer business model. You and your customers were a team that jointly determined sales and profit levels. In retail, we know this request is not achievable within existing square footage allocations. A business leader would ask for capital to add new stores, renovate old stores, or acquire other businesses. Now let's focus solely on the online channel. Could you grow E-Commerce sales an additional twenty-five percentage points? Is it possible? What marketing tactics would you use? Could you get there via paid search? Portal advertising? Affiliates? E-Mail marketing? Natural search? Blogging? How much would it cost you to get the increase, if you think this type of increase is possible? Would there be any long-term benefit to this short-term growth strategy? Multichannel CEOs and CMOs: Today is as good a time as any to begin testing online growth strategies that don't include paper. If you have to go well beyond organic growth rates, how would you do it? Learn today, so that you can answer this question tomorrow. You worked your tail off to acquire a customer via catalog advertising, in the telephone channel, back in 2002. Today, your job as it existed back in 2002 no longer exists. You do the work of two or three catalog folks from 2002. Your former catalog positions are now leadership-level positions in the online marketing department. Remember the customer you acquired, via catalog, in 2002? This customer now purchases merchandise exclusively via the online channel. She may or may not purchase online because of the catalogs she receives. But she certainly clicks on paid search via Google. Last week, an individual told me "I deserve credit for acquiring this customer. The website folks get all the credit for customers I worked so hard to acquire." One of the challenges of multichannel marketing involves rewarding individuals for exemplary performance. If there's one thing I observed last week, in speaking with folks, it is that employees really want to do what is right for the customer. If the customer wants to purchase merchandise via any channel, at any time, and have merchandise/pricing transparency in any channel, employees want to provide this for the customer. And yet, within companies, there is tension. Finance folks want to see sales reporting based on the channel that records the sale. As long as this happens, employees that work in growing channels will be rewarded. Conversely, employees that work in shrinking channels are not as likely to be rewarded. It will be really interesting to see what happens when the online channel stops growing at twenty-five percent per year. When this channel grows at five percent a year, and Google fails to drive significant increases, a generation of online marketers raised in an era of constant growth will be challenged like never before, will feel pressure like never before. Many of these folks will have never experienced a true, non-bubble-based downturn. What will they fall back on for experience, when the sales increases stop happening? Multichannel CEOs and CMOs: This is a very good time to start thinking about how you would dramatically grow the online channel, if asked to. Online executives benefited from the transfer of catalog and retail customers to the online channel. Here's a great drill --- run a simulation. Have your folks tell you what it would take to grow online sales by an additional twenty-five percent TOMORROW. How much would you have to spend? How profitable would it be? Could you do it via online marketing, or would you need paper/catalogs to help you? And if you needed paper/catalogs, who would you give credit for the online sales to? As best I can tell, my audience splits 1/3 online/catalog marketing folks, 1/3 arrive via search, and 1/3 are from the blogging community. This means 1/3 of my audience are disturbed by the way one of our own has been treated. Kathy Sierra of Creating Passionate Users recently received vile, disturbing threats. We all have a responsibility to lead by example. Bloggers don't need to blast every corporate entity that represents an easy target. Those who comment on blogs can be part of a community without stating every vile opinion, just because you can. If you have nothing good to say, don't say anything. For the rest of you, I am going to be far more careful when I link to others, or share information from other sources. I need to only link to reputable folks who exhibit a positive attitude. Those I link to are, by default, an extension of what I stand for. More than anything, that's what I've learned from the sad Kathy Sierra situation. Having just spent three days with 400+ top online and catalog marketers, there are a few things that really stand out from my conversations with these folks. Here are the major topics in catalog/online multichannel marketing, based on discussions folks had with me at the conference. Topic #1 = Colliding Forces. There was a lot of discussion about the USPS increase, set for May 14. For many smaller online and catalog businesses, this results in an approximate 25% increase in postage. This force will cause many small businesses to reduce circulation, especially among marginal housefile and prospect names. This force will eventually collide with the inevitability of online marketing. Customers under the age of forty-five are shifting their behavior away from traditional media (television, radio, catalogs too) to online media. The colliding force of the USPS increases and customer transfer from traditional media to online media will require a change in mindset and skillset among those in attendance. Topic #2 = Allocation Of Advertising Dollars. Those in attendance are frustrated with our new marketing world. We have more metrics than ever to measure performance with. Almost none of the metrics are relevant in telling the overall story about what caused a customer to purchase something. Ten years ago, we argued about how to allocate those pesky fifteen percent of orders that came into the telephone channel without a valid source code. Today, we realize we have no idea how to properly allocate orders, when a combination of three catalogs, six e-mails, and two Google searches and one price comparison on mySimon truly caused the customer to order. Seriously, how do you allocate this order across these twelve advertising vehicles? It was obvious that the attendees did not trust Abacus to do this for them, as some badgered the company during a presentation (I would say that Abacus has better thought leadership on this than most). This is going to have to become an organic field of experimentation --- I strongly advise non-competitive catalogers and online marketers to work together on knowledge exchange, in order to come up with allocation methods that make sense for our industry. Heck, give me a call, I'm very willing to help out on this topic!!!! Getting even more theoretical, some of the big companies are struggling with allocating orders, when not all catalog advertising produces incremental sales (i.e. a customer spends just as much online when receiving seven catalogs as when receiving ten catalogs). That's a really enjoyable, really theoretical project to tackle. Topic #3 = Strategy: I saw this repeatedly at the conference. Attendees were asking so many questions about the first two topics that true business strategy was rarely, if ever, discussed. I heard several CEOs discuss the problem of having a unique merchandise assortment --- that as soon as a unique and creative product is created and marketed, folks like Target (and even small competitors) can create their own product, with equal quality, at a lower price. Since there aren't a whole bunch of new, original ideas just laying around out there, it makes "staying alive" very challenging for the smaller online/catalog business. This is one place where online marketing and catalog marketing can make a significant difference. E-commerce is a TERRIBLE storytelling platform. However, blogging and cataloging are BRILLIANT storytelling platforms. There is a lot of opportunity to morph the catalog into the primary storytelling vehicle, as a way to keep paper viable. Topic #4 = What Happens When A Catalog No Longer Exists? This was the question I was asked the most, during the conference. Folks wanted to learn, in detail, what happens to the online channel, and to catalog customers, when paper is taken out of the mail. Having lived through the experience during the past three years at Nordstrom, I have a unique perspective on the topic. Obviously, I can't be liberal in my discussion of those events. That being said, folks were VERY interested in hearing what happened to employees who spent their lives growing the catalog business at Nordstrom. Attendees wanted to know if these people were able to move into online marketing, if they were laid-off, if they became disgruntled and quit, or if they happily made the transition. Obviously, all of those things happened. It was the most fascinating and painful experience of my professional career, I wouldn't trade it for anything. The experience will allow me to help others as they go through this process. Topic #5 = Google Is Getting Too Much Credit For Online Orders: This came up over and over again, and is closely tied to Topic #2. In an instance where a customer receives three catalogs, six e-mails, conducts two Google searches, and does one shopping comparison on mySimon, why should I pay Google twice for sending the traffic to my site? There's no doubt that Google and mySimon are partners in this process. However, the catalog/online marketer is now forced to pay for three catalogs, six e-mails, two paid searches and one shopping comparison affiliate commission. Ten years ago, three catalogs would have sufficed. In the next ten years, you will see an evolution in how Google and affiliates get paid. Search and affiliate marketers have taken advantage of the ignorance of all of us who have a catalog heritage. It's time to make things more equitable, and this can only begin to happen if non-competitive catalog/online marketers band together as a unified force. Topic #6 = "Multichannel" Doesn't Mean Executing The Same Across All Channels: The vendor-speak and pundit-speak of the past eight years (all channels should execute the same) has been rejected by those actually practicing multichannel retail. While everybody generally agreed that items should be the same price across all channels, the attendees generally agreed that the strengths of each channel should be readily exploited. If one wants to do free shipping in an e-mail and not in catalog, then by all means, do so --- but be willing to honor the promotion in other channels. If one wants to keep clearance items off the internet, go right ahead! If a brand wants to have a different look and feel in advertising, creative execution, merchandise assortment, you name it, go right ahead and do so. There was an absolute groundswell of consensus on using each channel appropriately, so that the customer ultimately chooses our brand over somebody else's brand. Topic #7 = E-Commerce Is "Cold", Catalog And Retail Are "Warm": This was the first time I've heard multiple people tell me that they are frustrated with the lack of warmth in E-Commerce websites. Many felt that the E-Commerce experience lacks humanity, is clumsy, and often breaks down from a technological standpoint. Marketers must take their most important marketing vehicle, a website, from the information technology folks that currently dictate what gets done in online development, and dictate when things get done. If you are a fan of the catalog advertising channel, this is your chance to create great creative execution via print --- your chance to show others how to market with warmth, and in the process, win over some of your marginal customers. Breakfast was a lot of fun, this morning. All of the speakers hosted a table, my table was filled with really nice people, folks willing to share details about their business. Thanks so much to everybody who spent an hour with me this morning. Pete --- sorry we didn't have more of a chance to compare notes, it was nice to meet you, in person! There was a fun session this morning, hosted by Colin Hynes, the Director of Usability at Staples. We don't always consider the fact that Staples moved $4.9 billion of merchandise via its website during 2006. Wow. After Amazon.com, can you think of anybody doing more volume than that? Colin brought a woman up to the stage, to join him in a brief usability test of the Geerlings & Wade website. The point of Colin's presentation was not to judge the Geerlings & Wade website, but rather, to show seasoned e-commerce leaders what an e-commerce experience is like for the average customer. The presentation included a discussion of the use of Personas to improve the website experience (including a before/after conversion rate graph --- where conversion briefly dipped after implementing changes to the site suggested by research and Persona use, then improved nicely, up to 28% more than the prior version of the website). P.S. : DMNews covered a few of the comments I made during my presentation on Thursday. There were many interesting discussions today. Jim Ruma, Ruma's Fruits and Gift Baskets ... "A lot of sales cover a lot of sins". Peggy Glenn, Firefighters Bookstore ... "Sales were down in 2001. You have to remember, I lost 345 firefighters / best friends on 9/11". If only the folks who write about customer service could see the passion these folks had for their customers. Their desire to please reaffirms one's faith in business. Industry legend Tim Litle hosted the lunch discussion, talking about the sixty year history of NEMOA. When we think about tricks for measuring things, we sometimes forget our history. Tim spoke of putting mail orders (the orders that came in envelopes in the 1970 and early 1980s, with a check inside the envelope) on a scale. The weight of the envelopes was directly correlated with the sales expected for that day. Wow. Today's badge of honor goes to Laura Wojtalik of Abacus. She spoke about developments at Abacus surrounding the allocation of orders to the advertising path that led to a customer purchasing merchandise (frequently referred to as a 'Matchback Analysis'). Laura exhibited a tremendous amount of professionalism, following her presentation in front of a standing room only crowd (and the term is appropriate here, there wasn't a place to sit in the overcrowded room). Many in the audience peppered Laura with "what if" questions that were theoretical in nature, questions that don't necessarily have (and may never have) straightforward answers. The audience had every right to ask the questions of Laura. It is not easy to measure the vehicle that drove the response when a customer received three catalogs and six e-mails in a twenty-one day period of time, and yet purchases following a search on Google on day twenty-two. In today's world, Google gets paid for this --- yet online and catalog marketers are aware that the three catalogs and six e-mails played an equal or greater role in driving the order. I think the audience wanted a definitive answer on how to quantify this in a way that makes the audience feel comfortable. I don't think a definitive answer will ever happen, it is part of our new reality. When Laura gave honest and fair answers, some in the audience weren't thrilled. This is yet another reason I harp on online businesses and catalogers getting in too deep with Google. I don't think Google is trying to be evil. But we pay them anyway for actions/purchases they didn't fully cause, because Google takes the credit for the last action in the "path to purchase", as coined by Coy Clement of Clement Direct. Many folks have asked to have a copy of my presentation available on the blog ... here is a link to this morning's discussion. Some really great questions were raised and comments made during the first afternoon of sessions at the NEMOA conference. I'll list the questions now, I'll consider possible answers once I've digested the full context of the conference. Catalog is not truly a channel, it is an advertising vehicle that drives sales to the telephone, website or retail channel. How do you deal with price changes in print (where prices are fixed in stone for the life of a catalog), verses in stores or on a website? Do you have a separate sale/discount website, or do you integrate it with your primary website? How should the online/catalog business allocate sales to the advertising vehicle that drove the sales? For instance, if a customer received two catalogs and four e-mail campaigns, and uses Google to search for merchandise, which of those six advertising vehicles and/or search is responsible for a website purchase? And if all are responsible for the purchase, how do you allocate the sales in a way that is fair? Once allocation is done "right", how should the executive allocate marketing budget across various advertising tactics? The importance of collecting accurate data --- as well as the importance of not getting bogged-down in having "too many metrics". Do you use e-mail campaigns for sale offers or free-shipping, verses SHOULD you use e-mail campaigns for sale offers or free-shipping? Are square inch analyses of catalog offerings still valid? What is the next big thing in multichannel retailing? FYI, I strongly believe we will see a shift, over the next five to ten years, in how retail websites are constructed. We spent time from 1995 - 2005 building the infrastructure that allows us to execute e-commerce in a seamless and trusted manner. From 2006 - 2016, I strongly believe we will see a sense of community, imagination and entertainment infiltrate our e-commerce enabled websites. While e-commerce will still be important, it is clear that we've built e-commerce websites that lack warmth, and lack interaction. The seeds of Web 2.0 will take hold over the next decade, resulting in websites that support e-commerce, but more importantly, become a complimentary tool that customers use to interact with a brand. Those of us who are in the business of allocating customer responses to advertising vehicles frequently use a great tool --- called the "matchback". In a Matchback Analysis, the business looks at a customer who buys something, and tries to allocate that purchase to one of the most recent advertising strategies employed by the business. Some companies come up with complex business rules that are used for allocating orders to advertising vehicles. A Matchback Analysis is SOOOO much better than doing nothing! But the methodology is flawed. Especially for catalogers. An example. On Monday night, I dropped my dog off for a week-long stay with his Mom (these two dogs know each other and acknowledge each other upon visits, which is neat to see). I needed to grab a bite to eat, and had only one fast choice nearby, McDonalds. What inspired this Filet 'O Fish purchase was convenience and speed. Advertising did not play a role in this purchase. Yet, in a Matchback Analysis, the analyst would attribute my purchase to any one of the ten McDonalds commercials I saw on Sunday. Matchback Analysis will always cause folks to overestimate the impact of advertising, especially in the catalog world. It is still good to use Matchback Analysis in your catalog-based marketing efforts, to gain an understanding of incremental online sales. A far more valid measurement strategy is to not mail catalogs to a small group of customers for six months or longer. Compare that group to an equal group of customers who receive catalogs. The results of this type of testing will significantly differ from Matchback Analysis ... and are much more accurate. DMNews announced that Lord & Taylor is going with a CRM solution from Harte Hanks. Let's assume that that Lord & Taylor has the following future value metrics (these aren't actual metrics, they are being used to illustrate a point) for customers who purchased between March 1, 2005 and February 28, 2006 ... measuring performance from March 1, 2006 to February 28, 2007. An annual retention rate of 60%. An average transaction size of $140. Twelve Month Sales Value of 0.60 * 4.00 * 140 = $336. In your opinion, how much would a CRM solution from Harte Hanks cause these metrics to increase? Would the retention rate increase, and if so, how much? How about the annual number of purchases? The average order size? What do you think will happen, based on your experience? Multichannel CEOs and CMOs: There is no doubt that CRM solutions can improve your business performance. At least five things contribute to the success of a CRM implementation. The implementation should be driven by your own marketing or database marketing staff, not by information technology individuals, not by vendors. The marketing and database marketing folks will create and execute the ideas --- the IT folks will move on to the next project. Your vendor will care, but has to care for a veritable plethora of clients. Take your financial estimates for a CRM implementation, and discount them by seventy-five percent. Share the low number with folks. Show me, in the marketing literature, the litany (i.e. more than ten) of successful CRM implementations that dramatically increased the bottom-line of the company implementing the solution, and I'll revise this observation. You have to have your organization focused on the CRM initiative. A CRM solution is useless if your creative team will not produce on-demand e-mail campaigns that take advantage of the new software solution. A CRM solution is useless if your merchandising team will not purchase the merchandise your software suggests customers want. Success happens in baby steps. Improving the overall response rate of a catalog from 4.00% to 4.05% is a reasonable expectation for a CRM implementation. Improving the open rate on an e-mail campaign from 20.0% to 20.3% is a fantastic result. CRM does not solve your business woes. Given the choice between investing in a CRM solution, and investing in merchandise and the customer experience, always error on the side of merchandise investment and customer experience. Notice that I am not saying you shouldn't invest in a CRM solution. Rather, the solution has a level of importance that is below merchandise and the customer experience. Simply acknowledge that, and you may be pleasantly surprised by the performance of a CRM initiative. When evaluating e-mail campaign performance, we frequently fail to account for the lost downstream revenue associated with those who unsubscribe from our campaign. Dollars Per E-Mail = 0.25 * 0.35 * 0.03 * 200 = $0.525. Each e-mail generated nearly fifty-three cents of revenue. Overall, the marketer might feel happy about the results. The marketer may even report that there was a 0.3% unsubscribe rate. An important next step is to discount performance by the long-term revenue lost due to those who unsubscribe from your list. In our example, assume that the marketer sends 75 e-mail campaigns per year. Over the next twelve months, the marketer will lose 0.003 * 75 * $0.525 = $0.118, because these e-mail addresses no longer exist on the marketing file. In other words, the incremental value of the campaign is $0.525 - $0.118 = $0.407. Marketers will find that the "Unsubscribe Factor" can be between ten and thirty percent ... in other words, results need to be discounted by between ten and thirty percent, in order to properly evaluate the results. What Do You Want To Learn From The NEMOA Conference? If you have any questions you want me to ask the attendees and speakers at the NEMOA conference, send me an e-mail, or leave a comment below. I'll try to share what I learn via my posts on Wednesday, Thursday and Friday evening. During a two-week period of time, you conduct an experiment. Customers are divided into four groups. The customers in each group are all "equal", in terms of quality. Group 1 receives one catalog, and each of two weekly e-mail campaigns. Group 2 receives one catalog, but does not receive any of the weekly e-mail campaigns. Group 3 does not receive the catalog, but does receive each of the two weekly e-mail campaigns. The table at the bottom of this article illustrates the findings of the experiment. Which strategy would you employ (the strategy from Group 1, Group 2, Group 3, or Group 4), and why? Or, do you recommend a different strategy? Are you missing any information that you need to make this decision? Tribal Knowledge can be loosely defined as the organic wisdom obtained by a group of individuals working on a shared objective. For instance, assume that three individuals start their own online/catalog direct-to-consumer business. These three individuals give everything they have to growing this business. They hire folks, they pick the merchandise, they run marketing, they develop all the internal processes that cause the business to exist. At some point, this team cannot grow the business without external support. They sell to another organization. The new company evaluates the business they acquired, and decide there is redundancy between this merchant and previously acquired business units. The folks who started the acquired business are let go. The acquiring corporation assigns new leadership to the fledgling brand. During the course of the next eighteen months, the fledgling brand doesn't grow. It struggles. A Direct Marketing President recently told me that "... customers don't buy from brands. They ultimately buy from talented individuals who possess tribal knowledge. When the tribal knowledge is gone, the reason for customers to purchase from the brand is gone. Businesses are nothing without people." What do you think of the concept of "Tribal Knowledge", as described in this online/catalog business example? Have you experienced situations where Tribal Knowledge was removed from an organization? What happened when the knowledge was removed? Here's another interesting question: What is more important to a business, the "brand" itself, or the "people" who work for the brand? I am Kevin Hillstrom, host of The MineThatData Blog. I average 135 daily visitors, and have about 300 RSS subscribers. That yields about 158,000 visits a year. In the history of my blog, I only recall writing about Victoria's Secret once. Victoria's Secret is a gigantic multichannel mega-brand that runs free shipping promotions from time to time. So when a customer uses Google to search for "Victoria's Secret Free Shipping", why doesn't Victoria's Secret appear in the top ten results, but The MineThatData Blog appears in the top five? Does the customer who conducted this search want to know about the actual free shipping promotion, or my opinion about a free shipping promotion? Multichannel CEOs and CMOs: Stop arguing about the USPS and proposed postage increases. Start challenging Google to provide relevant search results. Is Google your friend? Is Google actually a competitor of yours, one that is blocking traffic that should be going to your site? Or does Google make a lot of innocent mistakes, like the rest of us? I'd put my money on the latter --- I would also challenge you to start challenging Google the way you challenge the rest of your trusted vendors, folks you've worked with for decades. The art of cataloging changed during the past ten years. We used to market our catalogs to a target audience. We put the best merchandise in our catalogs. We sent the catalogs to our target audience. We measured results. We carried the best merchandise forward. We carried the best new merchandise forward. We capitalized on runners, we killed dogs. Multichannel cataloging is different. Though we merchandise and market to our target audience, we have no control over which channel the target audience chooses to respond in. Multichannel retailers run demographic profiles of the customers who respond to various products. For instance, assume we manage circulation at J. Crew. We advertise this Montauk Tote in our catalog. In the telephone channel, we observe a DMPC (Demand per Thousand Pages Circulated) of $50.00. We're happy with this, because the outcome exceeds our profitability expectations. Online, we notice that this item has a below-average conversion rate, a below-average "demand per visitor" metric. Given the combination of the metrics, we elect to carry this item forward next season. Still, something nags us about the performance of the item. So, we decide to look at the demographics of the customers who purchased the item, by channel. Catalog Customers Who Responded Via Telephone: Age = 53, Income = $63,000. Catalog Customers Who Responded Online: Age = 49, Income = $70,000. Online Responders Who Did Not Receive A Catalog: Age = 46, Income = $66,000. Can you see the challenge we face? This item worked in the telephone channel. Our online-based analysis says this item performed below average. Our demographic profile suggests different audiences are responding, by channel. Our challenge is to decide the role of catalog advertising. If we want a profitable telephone channel, we run this item next year. If we want to drive online sales, we don't run this item next year. If we want to maximize multichannel sales, we run this item next year, but we may need to reduce circulation, or mail the catalog to a different audience. Eventually, we will mail catalogs only to customers who shop via telephone and web --- a limited audience. Darwinian-style evolution of catalog advertising suggests that catalogs will either be constructed to maximize telephone sales, or will be mailed only to a limited audience that shops via both the telephone and online channels (or shops both direct and retail channels for companies who sell via retail). We're already heading in one of those two directions, most of us just don't know it, yet. We're not going to get thought leadership from a Management Consulting firm on this topic. The answer does not appear in a $279 report from Forrester Research. The answer is not evident in a statistic that says "multichannel customers are worth 'x' times as much as single channel customers". Multichannel CEOs and CMOs: I don't think there's a right or wrong answer, here. We simply have to decide what we want our multichannel catalog advertising to accomplish, and accept the consequences of our decision. What Does Your Website Look Like In 2017? Doug Mack at Shop.org talks about the future of multichannel websites. In the article, notice that an individual at Gartner talks about everybody being held hostage by "Googazon". Remind your multichannel retailing co-workers that you heard that concept first on The MineThatData Blog! The online channel is likely to evolve very differently, depending upon the business model employed by the retailer. Let's review three business models, and the likely evolution of the websites these business models manage. Catalog + Online Retailer: Multichannel Forensics dictates that catalog customers are transferring loyalty to the online channel. Businesses with an older customer base are experiencing this transition much slower than businesses with a younger customer base. Over the next ten years, this evolution will drive a dramatic transformation of the catalog advertising channel. The catalog becomes a "brand advertising" tactic that drives business to the website, or communicates the general attributes of "the brand". The website must sell merchandise. This will drive website design toward the most efficient layout, one that easily facilitates a customer purchase during any one specific visit. Direct + Retail Channels: As retailing splits into two niches (low-cost and high-end), websites will evolve accordingly. High-end retailers will see less and less value in e-commerce, and will see more and more value in using the website as the primary tool for customers to interact with a brand. For instance, L.L. Bean reported 73 million annual online visitors during 2006. I imagine that Neiman Marcus had more than 100 million annual online visitors during 2006. What the heck do you think will happen to these websites when brand marketers wrestle control of the website from the clutches of the technology folks? No other marketing activity replaces the experience of a hundred million individuals who volunteer their personal time to spend time on your website. If 100 million customers and prospects volunteer to spend their free time on your website, you have a responsibility to configure the website to facilitate any and all possible retail transactions. The Direct + Retail website will become the entertainment and information arm of a retailer --- e-commerce will be, at best, a secondary function that serves the purpose of meeting a specific customer need at a specific point in time. These businesses, in my opinion, are the most likely to use Social Media in the future --- integrating Social Media with the retail purchasing experience. Maybe most interesting will be the evolution of virtual-reality sites, as either competition to today's websites, or as the logical evolution of today's websites. The experience will be what matters, not e-commerce. Online Pureplays: Expect online pureplays to compete with catalogers and retailers by hyper-innovation and hyper-price-based competition. These businesses will have to make their sites a destination, a place where people want to spend time. This strategy will be at direct odds with the intense pressure associated with the need to sell merchandise to survive. Darwinian evolution drives these businesses toward the lowest price, fastest shipping, and best merchandise selection. Expect these businesses to develop partnerships with Google and a likely family of search successors, so that traffic is diverted away from multichannel retail sites. Ok folks, time for you to chime in. How do you think websites will evolve over the next ten years? What trends do you expect to come to the forefront for each business model? Friend of MineThatData Alan Rimm-Kaufman shares that Google will retain about eighteen months of clickstream data, going forward. Multichannel Retail faces similar challenges, when looking at the value of customer information within the context of multichannel forensics. Customer information ages differently in multichannel retail. While the relationships are different for each business, the following example helps illustrate the point. Catalog: A purchase twelve months ago is worth about 1/2 of what a purchase that occurred today is worth. E-Commerce: A purchase twelve months ago is worth about 1/4th of what a purchase that occurred today is worth. Retail: A purchase twelve months ago is worth about 1/8th of what a purchase that occurred today is worth. Clickstream: A visit twelve months ago is worth about 1/32nd of what a visit that occurred today is worth. This topic becomes important when evaluating actual customer behavior. Most multichannel retailers would consider a customer who purchased via catalog twenty-four months ago, and purchased online today, to be a "multichannel" customer. The reality is that this customer is heavily skewed toward the online channel. Multichannel marketers have an opportunity to run a regression-style analysis, to determine the appropriate weight to use with older purchase information. The weights determine how customers are segmented, and consequently, determine how the multichannel retailer markets to the customer. Multichannel CEOs and CMOs: On Friday morning, talk to your analytics staff about segmenting customers on the basis of the value of older purchase information. Have your staff apply a new technique that ultimately mimics the time-honored system of "RFM --- Recency, Frequency and Monetary". A loyal reader at a multichannel retailer forwarded me this link --- visit the New Look website, to take a peek. Next, click on View The Gold Look collection. You'll see what appears to be a table, with a magazine that you can open. Drag your mouse over the lower right hand portion of the screen, and thumb through the publication. You'll see merchandise and prices, features on designers and movie stars, and a list of stores that stock the merchandise featured in the "publication". Is this a brilliant way to advertise merchandise, or is this an attempt to make the web function like the paper-based world? Your thoughts? Nordstrom recently implemented use of RSS feeds, as part of the search process within their multichannel retail website. Give this a try: Visit the Nordstrom website. Search for a shoe brand, like Donald J Pliner. You'll notice a little RSS button halfway down the page, on the right side of the screen. Click on the image, and you will be taken to a page that allows you to subscribe to the feed for this brand, using several popular feed readers. You'll receive updates as new styles become available. This is an interesting take on the implementation of RSS within the multichannel retail community. Did the Nordstrom Marketing folks do this well, or should they have attempted a different strategy? Your thoughts? P.S. : In the spirit of full disclosure, I worked at Nordstrom from January 2001 to March 2007. Online Momentum: Will Your Online Business Continue To Grow? My guess is that your online business enjoyed sales increases of between ten and fifty percent, on average, during calendar year 2006. That's something to feel good about! How much "momentum" does your online business have? In other words, does your online business have the customer base necessary to fuel future growth? An important element of any Multichannel Forensics analysis is the measurement of the momentum of the business. Momentum can be defined as the future sales expected from three segments of customers. All-Stars, the "best" online customers as defined by the corporation during the past twelve months. For instance, a business like Cabellas could define "All-Stars" as any customer who spent $750 or more in the past twelve months. It is important to use twelve month metrics, as the time period mitigates any seasonal concerns. Periodics, online customers who have purchased in the past twelve months, but are not high spenders. These buyers purchase "periodically". In our example, these might be customers who spent less than $750 in the past twelve months. Newbies, customers not in the All-Star or Periodic segments. This is a forecast of how many additional customers we expect to purchase in the next twelve months. The multichannel analyst groups customers into All-Stars and Periodics, based on 2005 activity. Next, the multichannel analyst measures the average online spend of these customers during 2006. Armed with this data, the multichannel analyst counts the number of All-Stars, and the number of Periodics as of today's date. The multichannel analyst forecasts the expected number of Newbies over the next twelve months. Finally, the multichannel analyst produces a table similar to the one at the end of this article. The key is to compare at least two different time periods. The multichannel analyst might measure the customer file as of February 1, and again on March 1. By applying 2006 spend activity to each of the segment counts, the multichannel analyst is calculating the future sales value of today's file. Divide current period future sales by future sales estimated in the last period, and you have what is referred to as "Momentum". Multichannel CEOs and CMOs: In the next one to five years, the online channel will slow down to a normal growth rate. It will be important to identify when this inflection point begins to happen, and to begin slowing the rate at which inventory is purchased for the online channel. On Wednesday morning, work with your multichannel analyst on developing a "Momentum" reporting template. Paid Search: New Or Existing Customers? Catalogers enjoyed a blissful business model. They targeted the customer they wanted to acquire, or they sent catalogs to best customers, in an effort to increase customer loyalty. Online marketing ends that wonderful fairy tale. Take paid search. You pay for a keyword. Customers click on your link, and hopefully purchase merchandise. Who clicked on that link? Existing, loyal customers? Inactive customers? First time purchasers? Multichannel retailers with good customer databases know the percentage of paid search respondents who are existing customers. The greater the percentage, the less effective paid search might be over time, as you simply pay Google to steer your existing customers back to you. More important, however, is the loss of control over the growth of your online channel. With catalogs, you set aside a portion of your circulation for prospecting purposes. You strategically determine the long-term growth rate of your business. With search (especially with natural search), you don't control the long-term growth rate of your business. Google determines the long-term growth rate of your business. Multichannel CEOs and CMOs: Your task for Tuesday morning is to sit down with your analytical folks, and learn if Google drives existing customers to your site, or new customers to your site. If Google is used by your existing customer base, you have the potential for long-term growth problems, as you may not have a healthy source of new customers to prospect to. If this is the case, today is a good time to start considering how you will find new customers. There are several interesting tricks that multichannel retailers can use to understand the interaction between online and offline marketing. One such trick is to create "grids" that explain how online and offline marketing drive sales. 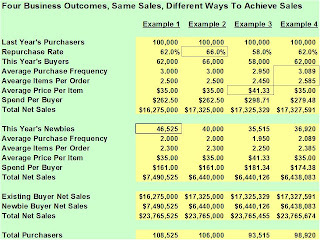 A "grid" is a simple 2x2 table that shows the impact of two factors on sales volume. The tables at the end of this post illustrate how a multichannel retailer might use a "grid" to measure the combined influence of Google, and a Catalog mailing. In this simplistic example, the multichannel retailer observes a positive impact on conversion rate due to catalog mailings, and a positive impact on conversion rate due to a customer referred via paid and natural search at Google. Profit is being squeezed out of our multichannel businesses, especially in the online and catalog channels. This is an example of what a reasonably healthy online/catalog profit and loss statement might look like today. This business generates $2.8 million profit on $33.4 million net sales, yielding a healthy EBT of 8.2%. The USPS increase takes a full percent of your Earnings Before Taxes. Even more interesting, however, is the looming trend toward free shipping and free returns. Long-term, I don't think we can escape this trend. The customer will demand we provide this service for free. A customer will gladly pay $3.00 for a $0.60 cup of coffee at Starbucks, but she won't pay to have a dress shipped from Columbus, OH to her home in Portland, OR. Free shipping and free returns will put a lot of pressure on the profit and loss statement. If free shipping and free returns drove enough top-line sales to offset the expense, every multichannel retailer would already be offering free shipping and free returns. Let's take a look at the future p&l, after absorbing the expense of free shipping and free returns. Free shipping and free returns are likely to increase the overall return rate, and reduce shipping and handling income, costing our business another $1.4 million of Earnings Before Taxes. Remember, our business was generating $2.8 million in profit before the USPS increases, $2.4 million after, and maybe $1.0 million after having to move to free shipping and free returns. Business leaders will be put in a difficult situation. Expenses will have to be cut, in order to maintain a healthy level of profit. I see two areas where this is likely to happen. First, catalog circulation will be dramatically cut, mostly in low-productivity areas like prospecting. This is why you see our vendor community so up in arms. The second area will impact the customer. 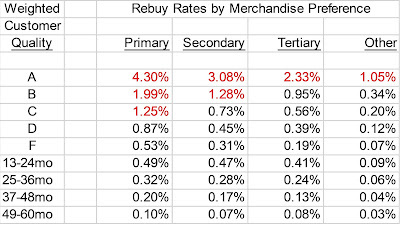 Items with high return rates will not be featured in advertising, and may not even be offered at all, in an effort to lower the overall return rate. Free shipping and free returns will encourage customers to take more risks, but it will encourage businesses to take fewer risks to make the p&l work. Ultimately, the customer is going to lose the breadth of merchandise assortment she has grown used to. Multichannel CEOs and CMOs: Start planning today for the pending pressure our profit and loss statements will face in the future. This is a good time to test free shipping and free returns (for an extended period of time, not just a few weeks in December), and project the financial impact this will have. Varien.com talks about Victoria's Secret, and their free shipping and free returns promotion on pants. Kudos to Victoria's Secret for trying an interesting promotion that can benefit customers. It takes courage to incur an average expense of around $10 per order, without $13.95 from the customer to offset the expected expense. Many multichannel retailers make money on shipping and handling. Zappos, Endless.com and Piperlime are essentially applying enormous price pressure on all multichannel businesses. This long-term pricing pressure will cause multichannel retailers to reduce expenses elsewhere. The very same vendor community that is unified in its fight against the USPS will fall victim to the eventual cost-cutting that free-shipping/free-returns is guaranteed to bring to multichannel retailing. Virtual CEO: How Best To Increase Net Sales? Let's assume that your e-commerce website enjoyed another year of rampant, unfettered growth. Kudos to you! From a customer standpoint, do you know why your business grew last year? There are dozens of scenarios where a business could enjoy a significant sales increase over the prior year. Let's explore four scenarios. Example #1: The business achieves increases by increasing the number of new customers. Example #2: The business achieves increases by increasing the rate with which last year's loyal customers repurchase this year. Example #3: The business achieves increases by increasing prices. As a result, fewer customers purchase, but a smaller number of affluent customers spend more. Example #4: The business achieves increases by getting customers to purchase more times per year, and by getting customers to purchase more items per purchase. Ok, time for you to be Virtual CEO for the day. Which of the four examples would you want to happen in the business you are running? To me, Example #1 helps fuel future growth, because there are more customers willing to purchase next year. Example #2 is very, very hard to accomplish, but again, fuels future growth by yielding more customers for subsequent years. Example #3 is risky. Short-term growth that comes at the expense of growing loyal customers is dangerous. Example #4 might be the hardest to accomplish. One of these days, it won't be so easy to grow an opt-in e-mail subscriber list. Before that day arrives, produce a report that tells you how many e-mail addresses survive for three, six, nine and twelve months after the e-mail address is acquired. Let's assume you have a weekly e-mail campaign, where each e-mail address receives one e-mail blast per week. Assume you acquired 10,000 new e-mail addresses on January 1, 2006. After three months, 7,500 e-mail addresses are still valid (not invalid, did not unsubscribe). After six months, 6,500 e-mail addresses are still valid. After nine months, 5,800 e-mail addresses are still valid. After twelve months, 5,500 e-mail addresses are still valid. There are several neat little nuggets of information here. In the first three months, you lost a quarter of your new subscribers, for one reason or another. While twenty-five percent represents a huge number, the number is masked by the individual campaign opt-out/invalid rate of just 2.1%. In other words, if you lose 2.1% of your list on each of the first thirteen campaigns, you lose a quarter of your list in just three months. In months four through six, you lose 1 - (6,500 / 7,500) = 13.4% of your remaining list. This means the individual campaign opt-out/invalid rate is about 1.1%. In months seven through nine, you lose 1 - (5,800 / 6,500) = 10.8% of your remaining list. This means the individual campaign opt-out/invalid rate is about 1.0%. In months ten through twelve, you lose 1 - (5,500 / 5,800) = 5.2% of your remaining list. This means the individual campaign opt-out/invalid rate is about 0.4%. On an annual basis, those tiny percentages yield a whopping 45% opt-out/invalid rate. This means you are turning over nearly half of your new subscribers, on an annual basis. All too often, we look at individual e-mail campaigns, and pat ourselves on the back when we only lose a half-percent of our list. When projected across time, we see a more interesting story --- in this case, 45% of the list disappeared. Our industry needs to do a much better job of analyzing digital media (e-mail, search, portals, affiliates) over time. We need to spend less time within specific campaigns. We need to step back, and look at the big picture. How many of your new e-mail subscribers survive a year on your e-mail file? A well-deserving mention this evening. Friend of MineThatData Avinash Kaushik announced on Monday that he is leaving Intuit to start his own consulting business. In addition, he announced last week that he is donating the proceeds of his new book to charity. That is Honor Roll worthy! There's been a lot of buzz the past few days about what appear to be an impending and significant postage increase for multichannel marketers, and in particular, small multichannel marketers. Our industry is not likely to support other issues that place cost pressures on small, multichannel marketers. We don't rally around our partners when the cost of keywords or portal advertising increases. But postage increases, especially significant ones, can be easily quantified, and impact the entire multichannel marketing food chain. The food chain rallies around the cause. Multichannel marketers can use Multichannel Forensics to understand the long-term impact of postage increases. If we assume that multichannel marketers reduce circulation to marginal customers and prospect lists, in an effort to offset cost pressure (this impacts list brokers, list managers, and compiled list folks, who depend upon a healthy prospecting business), the multichannel marketer will get fewer new/reactivated customers. When fewer customers are acquired, the business fails to grow at a robust rate. Businesses must grow, or they die. For instance, assume that a small multichannel retailer cannot mail 400,000 catalogs a year, due to the increase in postage. Assume that these catalog drive 7,500 new telephone-channel buyers, and 1,500 new online-channel buyers. The cost increases cause the marketer to have to reduce circulation each year. This causes an ever-increasing impact on the business, over time, as is evidenced in the table at the bottom of this post. Because the impact is cumulative, the multichannel marketer loses an equal number of customers each year. These customers cannot contribute to future sales. In this example, $1.5 million in sales is lost in year one, $3.4 million in year two, $4.6 million in year three, $5.3 million in year four, and $5.7 million in year five. Also notice that, in this example, the online channel is impacted by problems in the catalog channel. Our integrated, multichannel businesses suffer from price pressures in the catalog postage arena. Simple two-channel simulations can be used to illustrate the real long-term impact of short-term decisions. These are frustrating times for catalog-based multichannel marketers, who are being pushed online by our customers, and ultimately, those who deliver our catalogs to our customers.